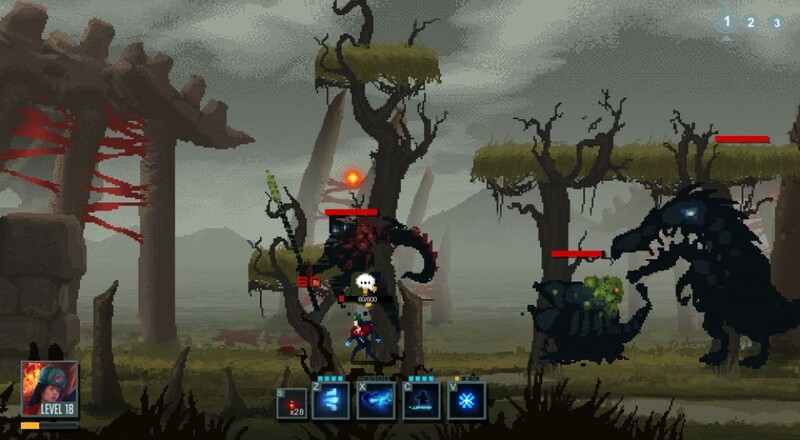 A modest update has rolled out for Warlocks Vs. Shadows, the pixelated action RPG/brawler currently in Early Access. Not only does the update add a new world (Frozen Lake) and a new character (Jamal, the Troll Warlord), but it also makes some significant tweaks to the game. Swampland's music has been changed to its final version. Warlocks Vs. Shadows has been available in Steam Early Access for three weeks on PC, Mac, and Linux. It will also be released on Xbox One, PS4, PS Vita, and Wii U in Q3 2015. Warlocks Vs. Shadows supports up to 4 players in local or online co-op play.